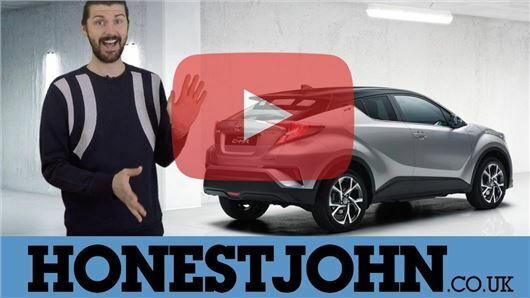 The crossover market is looking way beyond saturated now, so fair play to Toyota for trying something a bit different with the C-HR, whose big 'C' stands for 'coupe'. It's not a coupe, but still. My windscreen cracked (as have loads of them due to an unknown fault) then my ecu fused itself and wouldnt turn the car off after a burning smell inside. The wind noise at 40mph is worse than my mums old chevrolet cruze at 70mph. It barely gets over 50mpg. Some covers are stuck on with double sided sticky foam. The car reeks of glue so bad the salesman himself was ill. Google prius death smell. The tyres had been mounted using oil that sprayed all over the brakes and paint. Toyota (motorline group kent) tried using an old towel to scratch it all off...sorry remove it. My brakes now squeal and dont work well. Its been in the garage as long as I have had it. The local dealer also called me several colourful names and tried to blame me. I witnessed them talking about charging me for locks I didnt need. Forget this car and get a proper brand like audi bmw etc.